Moments passing by so quickly, yet it feels like time stood still. Patiently waiting at the Sandman Signature Hotel, the room was filled with laughter between the groomsmen and Dominic as they prepared for the wedding. Dominic was not hard to read, with a smile upon his face, you instantly knew that Maria is the love of his life, and he couldn’t be happier to marry her. 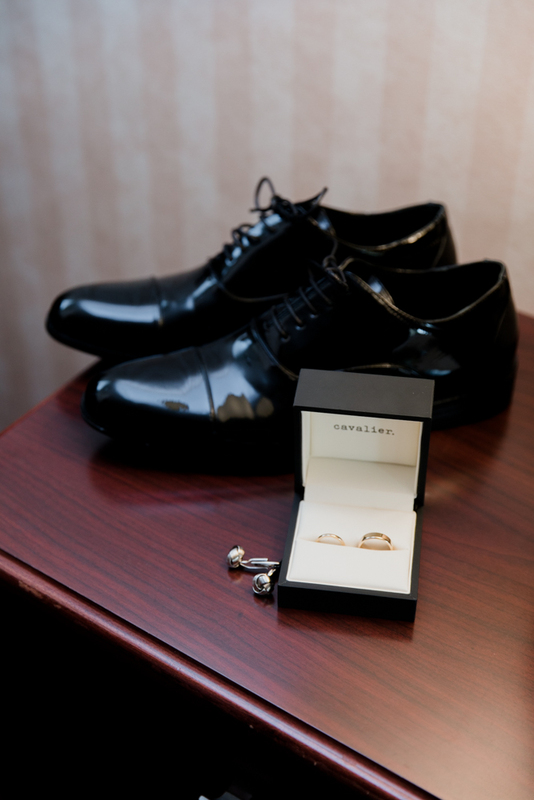 As Vancouver wedding photographers, watching the groom anticipate the day as he's getting ready fills our heart with an unbelievable amount of excitement! The second we had walked into the room, this outgoing, exciting vibe radiated off of Maria. Despite any tension or nerves she may have felt, the magical moment was all just laughs and happiness! All the bridesmaids had gathered together with Maria, with Sara Estrada doing an outstanding job on everyone's hair, followed by the gorgeous makeup done by Victoria Grace. 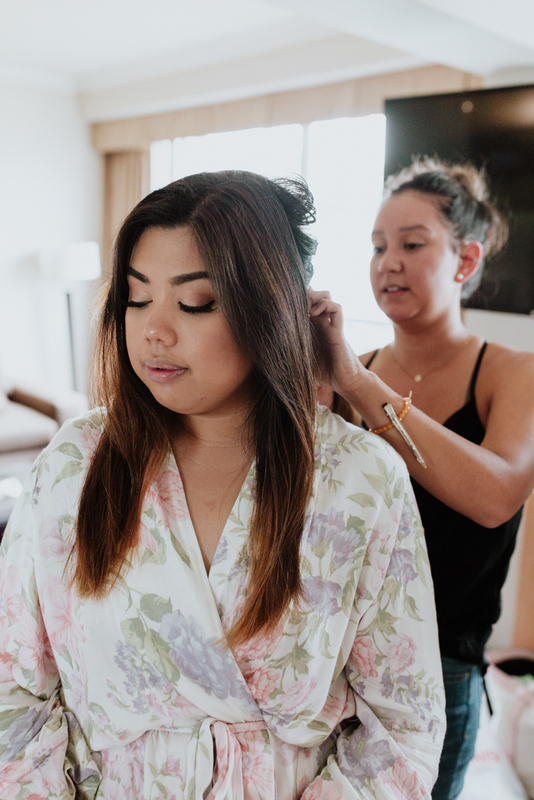 To have the beautifully curated artwork of hair and makeup completed, not only as photographers but as well videographers, it makes our fingers tingle with excitement to be able to capture it to its fullest potential. As Dominic waited at the end of the aisle inside St. Paul Parish, sparks of joy raised upon everyone's faces once the music had begun. As she made her first step through the doors, holding this stunning bouquet carefully curated by Pretty Things Florist in her hands, she then left everyone in the room speechless yet emotional. Looking at Maria, Dominic had almost been brought to tears, the most important person standing right in front of him, his soon to be wife. During Maria and Dominic’s portrait session, the day began with a race against time. All the photographers and videographers agreed, we wanted to have a guarantee that we could shoot all these unique photos and not make it seem like we are rushing the couple. With all this pressure put upon us, we were able to capture all the gorgeous photos needed to make the couple the happiest they could be. We had a beautiful turnout with all the wedding photos and made sure to capture the best moments. When photographing photos at a wedding, we take into consideration what key photos the bride and groom will cherish the most out of all of their wedding photos. As the couple says I do, placing the rings on each others finger, its moments like these that are most important to capture. 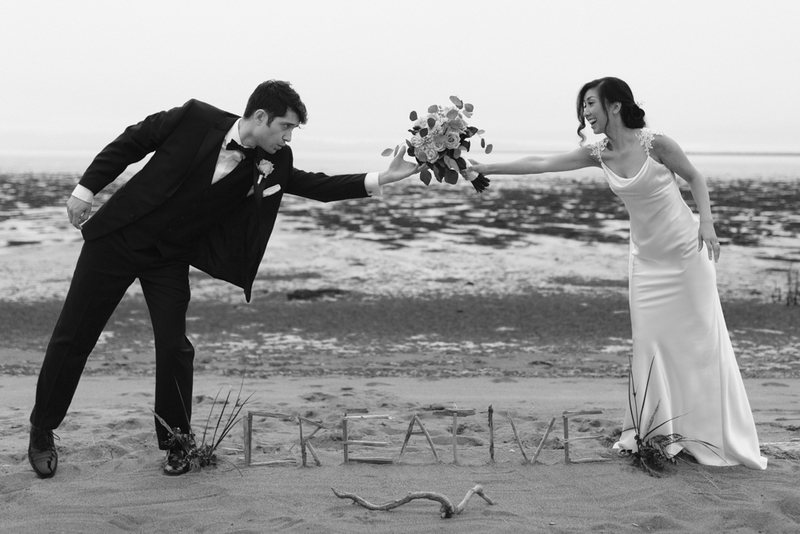 Wedding photographers need to predict what moment to snap the perfect shot. Just like their first kiss as a married couple, will be one thing the couple will always look back on and cherish.